The Cork Butter Market opened in 1770 and continued trading for 150 years. It brought great wealth to Cork. The gates of the market opened at 6.00 am every week day morning. From then on all the nearby streets were busy with horse-drawn carts bringing butter to the market or carting it away to the local factories and waiting steamers on the quays. The salted butter was brought to the market in wooden caskets called "firkins". All butter firkins were made of oak, sycamore or good hardwood. The very best casks in the country were Cork-made ones, and these were compulsory for butter going to tropical parts of the world. 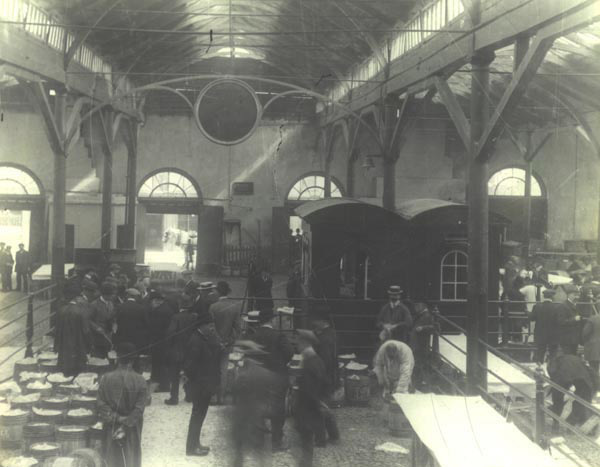 Butter was brought by horse drawn cart from West Cork and Kerry along routes known as butter-roads After the closure of the Butter Exchange the building housed a hat factory. After being destroyed by fire it lay derelic for a period of time. Today the circular building has been restored as an arts and performance centre. 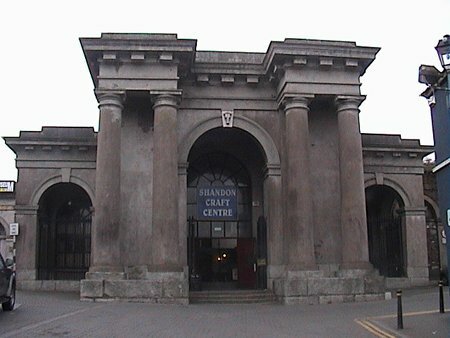 It is now known as the Firkin Crane Building.